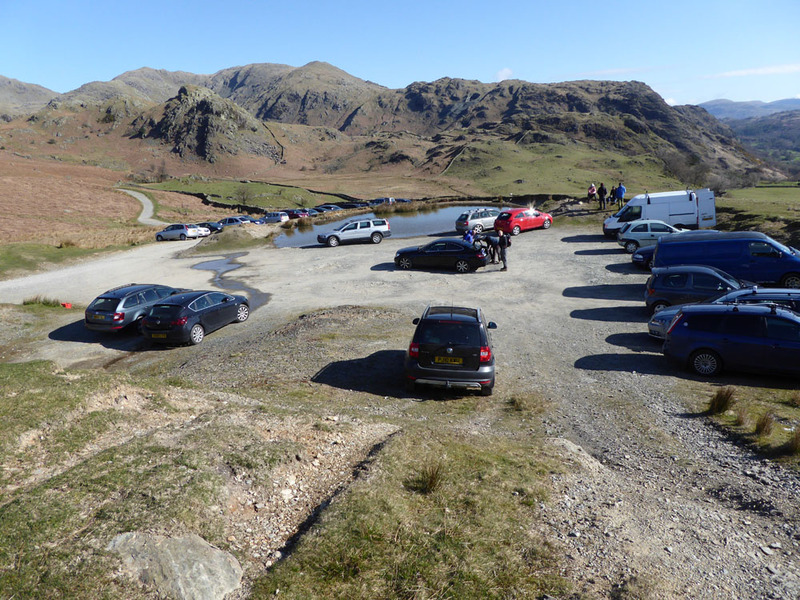 The Lake District National Park Authority Approve Rydal Estates Application to turn the Walna Scar Car Park into a 58 bay Pay and Display car park! Walna Scar Free Car Park is now likely to become a pay & Display car park unless we all act in the next two days - you must do so by December 14th! We first brought your attention to the fact that the Lake District National Park Authority (LDNPA) were considering an application by Rydal Hall Estates to turn the Walna Scar Car Park into a 58 bay pay & display car park in September 2016. This proposal created a public outcry and you might have thought that the Lake District National Park Authority would have heeded that outcry and done the decent thing - ie refuse Rydal Estate's Application; anyway - well guess what - they haven't! The Lake District National Park Authority apparently cannot be regarded as a "friend" of the motorist, visitors to, or the local occupants of The Lake District. Not only have they have systematically converted as many free car parks to pay and display as they have been able to over the years; they now appear to be happy to encourage private estates within the National Park to do likewise! 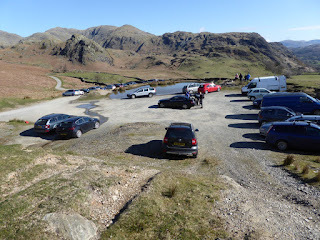 It has been stated by The BMC that "If theses planned changes to Walna Scar Car Park go ahead, it could set a precedent for the multitude of similar situations across the Lake District, potentially paving the way for Pay and Display car parks in the popular tourist hot spots such as Cockley Beck, Wrynose Pass, Hardknott Pass and others". Do we really want to see this happen! Rob Dyer, BMC access and conservation officer, has also been quoted as saying: “It’s a real shame to see Walna Scar Car Park changing into a more formalised pay and display format if the proposal goes through. Increased parking charges at popular access points for the outdoors is affecting more areas across the country. Of course, I have sympathy for the need to maintain these areas and the costs involved, but the outdoors should be made more accessible for people, not more expensive". “High charges in car parks are a barrier to people being more active outdoors, especially for those that are on lower incomes. As a society we should be making it easier for people so they can experience all the physical and mental benefits being active outdoors provides". It would appear that The Lake District National Park Authority do not share Mr Dyer's view; a view which many of us who love, live and work in this area, will wholeheartedly agree with! Also consider this - whilst the introduction of the proposed pay & display car park at Walna Scar may inconvenience many wishing to enjoy recreational activities on the Coniston Fells, - by allowing this to go ahead, it will allow The Lake District National Park Authority (LDNPA) to capitalise on its premises in Coniston Village - read below! The LDNPA already control the three main car parks in Coniston Village as it conveniently happens - at The Old Station Car Park on Station road (just off the Walna Scar Road) at the Coniston Boating Centre adjacent to the steamer pier; and in the village centre on the Hawkshead Road. To us this all seems like a convenient ploy to coerce all - visitors and locals alike, into parting with their cash. Eventually, people will just stop coming to The Lake District. Lake District National Park Authority - shame on you! Readers - You need to act immediately! Those that would like to oppose the proposed changes, can directly email the Planning Inspectorate using the email template, (source - The BMC) available as a download here. Please use this template to help write your letter. Any representations should be sent in writing by 14 December to Planning Inspectorate, Commons Team, 3F Temple Quay House, Temple Quay, Bristol, BS1 6PN. Or by email to commonlandcasework@pins.gsi.gov.uk. using the BMC's template in the download aboveThese letters will not be treated as confidential. That will be copied to the applicant and possibly to other interested parties.